DMT [N,N-Dimethyltryptamine] is a powerful psychedelic compound, maybe the most powerful. Its status – legally speaking – is very complex, as DMT is illegal in most countries in its pure form, but at the same time it is legal (in many countries) in its more ‘natural’ form, most of our readers have for sure already heard of the Ayahuasca brew. Well, as you can understand from these first few lines, we are talking about a very controversial subject. DMT occurs naturally in most living species, animal and vegetal, it is naturally present in the human body where its levels have been speculated to drastically increase in certain – sometimes extreme – situations. The experience of using DMT in one form or another is considered one of the most powerful, life changing experiences one can make. Some plants naturally contain high quantities of DMT, and they are legal in most countries, they can be purchased usually without any problem. If you happen to eat parts of these plants, though, nothing would happen as your body would digest the DMT they contain, and it would have no effect on your brain. In order to have an effect these plants should be mixed with another natural ingredient, which will prevent the digestion of DMT, as in the case of Ayahuasca. South America shamans have been drinking Ayahuasca for thousands of years, as part of their ceremonies. What is not legal, in most countries, is to chemically extract the DMT from these plants but Ayahuasca, being a brew, does not require any extraction process and for this reason it is legal in many countries (borderline, but legal). This long introduction was necessary to present Dr. Rick Strassman, Clinical Associate Professor of Psychiatry at the University of New Mexico School of Medicine. Dr. Strassman lead the first and maybe the only official clinical study on DMT, and is considered the most reliable source of information on this psychedelic compound, its effects and side effects. His books and his documentaries have been read and watched worldwide by millions, he is considered an authority on this subject, and his first book, DMT: The Spirit Molecule is a must-read book for anybody interested in subjects like consciousness, psychedelics, other realms, other realities. Dr. Strassman was kind enough to answer our questions on DMT for this exclusive interview. When we talk about drugs, and DMT is a psychedelic drug, we think of drug addiction, health risks. So the first question is about the harmful effects of DMT. What are, from your clinical research, the main risks deriving from the use of DMT? DMT is physically safe in conditions of good health. When we injected the drug it raised blood pressure and heart rate comparable to the levels one might see after a burst of extremely strenuous activity, such as running up several flights of stairs at full speed. Therefore someone with pre-existing heart disease, cardiovascular problems of other sorts should avoid parenteral (intramuscular, intravenous, or smoked/vaporized) DMT. I also would not recommend anyone take it who has a seizure disorder. The main risks are psychological, as the drug compresses a full psychedelic experience into the space of just a few short minutes. The transition can be harrowing in its intensity, rapidity, and disjunctive quality. Then, one finds oneself in a completely disembodied realm which, if unprepared, can be extraordinarily disorienting. In addition, the contents of that disembodied realm can be quite unusual—taking the form of intelligent “beings” that seem to interact with the person in that state, sometimes in confusing ways. Even in our carefully screened, supervised, and followed up volunteers, we saw the emergence of panic attacks and the recurrence of depression in a small number of volunteers. Thankfully, we were able to quickly and completely manage all of these adverse aftereffects. However, in someone who is in less than ideal psychological condition, has a family or personal history of psychiatric disorders, is abusing other drugs or alcohol, is taking psychiatric medications, and does not have the social support necessary to provide assistance if necessary, these effects and aftereffects might be particularly troublesome. Two or three times a year I receive emails from friends or family of individuals who have used an overabundance of DMT, and ended up with intractable severe psychosis, and have spent extended periods in jail and/or psychiatric facilities. Most of those who have experienced DMT tell very similar stories, spiritual situations, often life-changing experiences. What is the opinion you have developed during all these years you spent researching DMT and its effects? What happens, does it all happen inside one’s brain or does one’s consciousness temporarily move elsewhere? If you could for a moment stop being a Doctor and a researcher, and tell us only what your personal feeling is, what your intuition says about what happens during a DMT experience… what would you say? I think that DMT chemically affects the brain and this modifies consciousness. This modified consciousness now receives/perceives things that it previously did not. Some of those things reside within one’s own mind—either in the pre-conscious or unconscious along the lines of Freudian psychology—or reside outside of one’s mind. It requires a highly developed consciousness in the first place to be able to differentiate between those two possibilities. And, it goes without saying that we are never seeing a pure culture of one or the other. That is, we see things that are more or less outside of ourselves or more or less inside of us. More particularly, I think that DMT stimulates the imaginative faculty, as conceived of by Aristotle and the medieval Jewish philosophers who lived between the turn of the Common Era and the 1700s. By imaginative faculty, I mean that part of the mind which deals with perception, including body awareness; and emotions. In contrast, the rational faculty deals with abstract notions that do not require perceptions, feelings, body awareness, and so on; for example, mathematics. With enhanced imagination, one is able to “perceive” information that was previously imperceptible. Then it is up to the rational mind to interpret, extract information from those novel imaginative contents. This does not mean that the contents of the “imagination” are imaginary. Rather, they may represent our being able to peer into realms of existence that are usually invisible, either within or outside of ourselves. In a way, an enhanced imagination provides a new repertoire, a new toolkit or set of instruments. 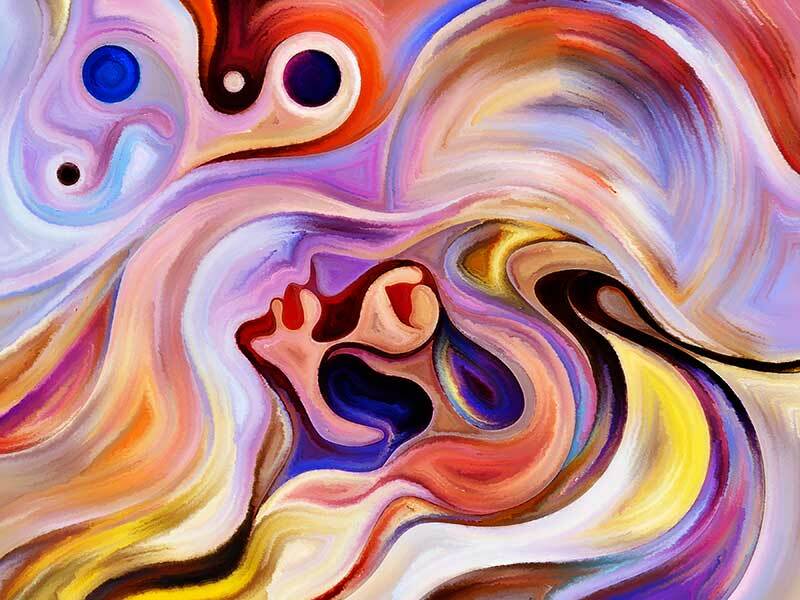 So, we might be looking at unconscious conflicts, drives, and impulses that are finally visible with the aid of a DMT-enhanced imaginative faculty; or, we may be looking at usually invisible forces, processes, objects that are external to us. In either case, our own pre-existing consciousness is requisite. Therefore, even if we are seeing nothing but something outside of ourselves, that something is being displayed on the screen of our own minds, and our own minds are never 100% mirror-like, but come with a whole host of our biological, psychological, and socio-cultural influences. It’s incumbent upon us to minimize the interference occasioned by those confounding influences. With your research in the first half of the Nineties and your book and documentary film “DMT: The Spirit Molecule” you have greatly contributed to the understanding and to the ‘going mainstream’ of this naturally-occurring compound. DMT – N,N-Dimethyltryptamine – and Ayahuasca, you just have to type them into Youtube or Google to see how popular they have become. Ayahuasca is legal in most countries, and so are the ceremonies during which it is used. Popular, but also commercial, there is a whole new business developing around the spiritual experiences caused by these substances. What is your opinion about the turn taken by the subject of your original scientific research, once it went mainstream? Well, one cannot control what people do with what you’ve done or written. At the same time, I continue exploring the issues raised by my research, and disseminating those ideas in writing, lectures, videos. In addition, I continue consulting with psychedelic researchers whose work I wish to advance because I support their approaches to the subject. Since completing my research, I have focused on the spiritual import of the states which are available under the influence of DMT and other psychedelics. While many people take psychedelics for fun, hedonistic pursuits, relaxation, conviviality, and aesthetics, a significant number take them for self-improvement—either psychological and/or spiritual. My work has been focused on those using psychedelics for these latter purposes. There are as many models and contexts for taking psychedelics as there are individual psychedelic drug users. To the extent that there are potential spiritual and/or psychotherapeutic benefits inherent in the psychedelic drug state, I believe it’s useful to develop a model that helps one optimize one’s experiences. This is done by clarifying one’s intent, emphasizing the importance of preparation including education, and other ways in which one is better prepared to ask questions, understand the answers, integrate, and communicate the information obtained in these states. In my new book, “DMT and the Soul of Prophecy,” I use the Hebrew Bible’s model of prophetic experience as an alternative to the “this is your brain on drugs” neuropharmacological approach, “this is delusional detritus on the way to the formless enlightened state” proffered by Eastern religious disciplines. In addition, I examine the Latin American shamanic model which, while it takes at face value the reality of the spiritual realms and their inhabitants that one encounters on DMT, lacks a theistic, ethical-moral scaffolding that would appeal to the majority of seeking Westerners. As is the case with anything new, unusual, impinging on the mainstream, I think it is absolutely essential that people educate themselves before taking a psychedelic drug. They need to learn what they are, what they do, and take very seriously how to optimize benefit and minimize adverse effects. Along the lines of optimizing the benefit, I think it’s necessary to learn what models are out there for spiritual/psychological growth, if that is your interest. There seems to be an uncritical acceptance of Eastern religious or Latin American shamanic worldviews and the dismissal of those offered by the Western religions. These latter traditions I believe are ultimately better-suited to a secular Western demographic: psychologically, culturally, perhaps even biologically.